Will Walmart’s Entry, EQUATE To Industry Chaos? Capitalism is great. Who doesn’t like to have a sea of choices per product? Free markets are where it’s at! If you walk into a state-run store in a communist country, you have one brand. If you like it – great. If you don’t – great. Having a choice in what you buy is great, not only because you can pick the product that works best for you, but it also has an impact on prices, supply, and the marketplace in general. We, here in America especially, love that experience; however, things are about to get really crazy. Initially, major supplement giants raced to and battled over, shelf space with specialty retailers like GNC, Vitamin World, & Vitamin Shoppe. When the internet hit, they all raced to online giants like Bodybuilding.com, Europa, and others. As the markets have changed, some of the brick and mortar giants are suffering (though GNC is hanging on); the major distributors have either downsized considerably or vanished. The new marketplace was clearly Walmart. Companies all wanted to sell on their shelves, a move prompted a decade earlier by the GNC / Rite Aid merger. The idea of powerful supplements, on sale at mainstream pharmacies was an idea Walmart capitalized on, and which many think Amazon will go about next. For now though, Walmart has created a substantial supplement marketplace, followed by quick-thinking supermarkets. The problem with Walmart, however, is that major supplement giants have had to drastically cut their prices in order to compete with discount brands like Six Star and Body Fortress. This move may or may not have been worthwhile, but now even the discount supplement companies are finding themselves in major trouble, as Walmart’s store brand will do to them what store-brand soft drinks have been doing to Coke & Pepsi for the last 30 yrs! The introduction of Walmart’s Equate brand could mean a disastrous outcome for major companies finally finding some stability. It could mean that already discounted companies like Body Fortress will go scrambling. Equate’s creatine product, for example, is priced at under $4 for 30 servings – that’s a mere 13 cents per serving. Its preworkout sells for $9.99 – that’s 33 cents per serving. 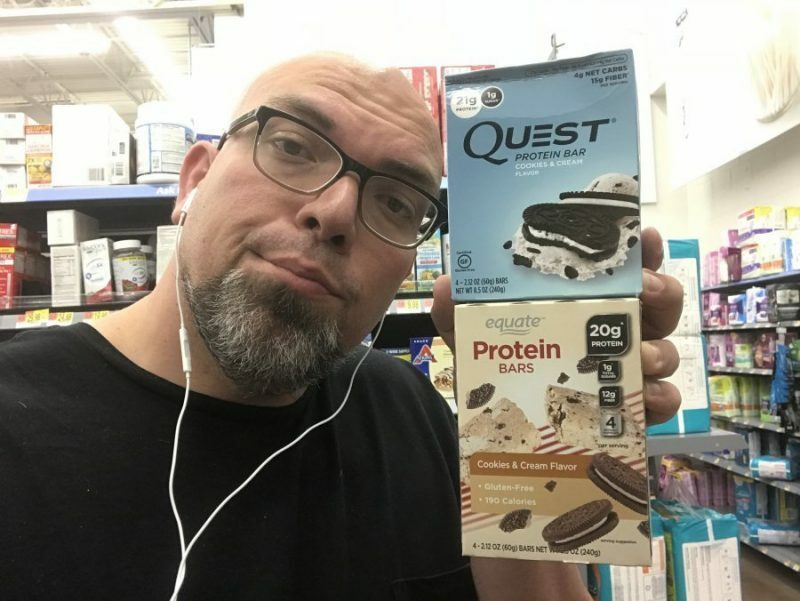 The store brand is also putting out products that will challenge Quest bars and Lenny & Larry’s cookies. The ingredients and macros are practically identical. Packaging is also hot on the heels of major competitors. 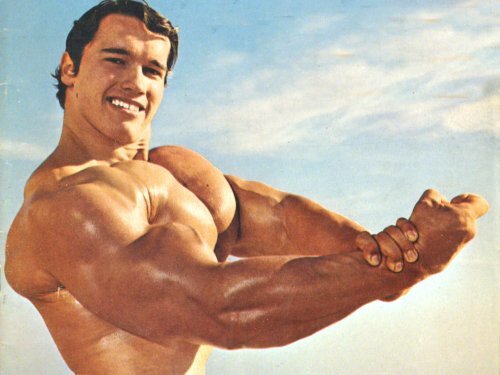 Years ago, companies like Body Fortress and Six Star stunned the markets by releasing low cost products with good packaging, all the while signing athletes and having a presence at major market expos like the Arnold and Olympia. Their methods left many simply scratching their heads. The reason is because many of these products, like any other commodity, have prices that are pegged to hard numbers around the world. The lower they’d charge in retail, the smaller their profit margins became. It got to a point, where something had to give. It just wasn’t feasibly possible. Then it became obvious that portion sizes began to be affected. The 2lb tubs were in fact 1.5, the introduction of costlier Isolates and elite series type goods, made it possible to switch focuses, while keeping low cost items at play, albeit on the back burner. Equate takes the volume game to a whole new level. Unlike low-cost major brands, the in-store brand could sell at virtually little to no profit, because Walmart can still make money on mass volume – more so than anyone else. Their endgame is also a far different one. Walmart can afford to break even on supplements if statistics show that supplement shoppers will buy other products throughout their stores. These other products will undoubtedly have a lot more room for profit and will still make their stockholders very happy in the end. There’s far less competition in practically every other market conceivable. What’s happened in the fitness industry is almost unheard of – and just as Equate settles in to finish the discount brands and crush the major name brands, they too will soon have to deal with the emergence of Amazon super centers. Amazon is the one giant who can also slay the Walmart giant. Once Amazon gets into the grocery store business, it’s lights out – for everyone! For now, Equate will more than likely force the discount brands to slash prices, possibly forcing them to cut their packaging and advertising efforts. Major brands have already gutted much of their ad budgets, downsized their athlete programs, and cut costs on advertising and expos, so where they go is uncertain. Many will probably now do what they should have done years ago – get out, but maybe they won’t be able to. Maybe everyone’s just stuck for the ride now. The big companies will still sell for good money at GNC and other major supplement retailers. Why there? 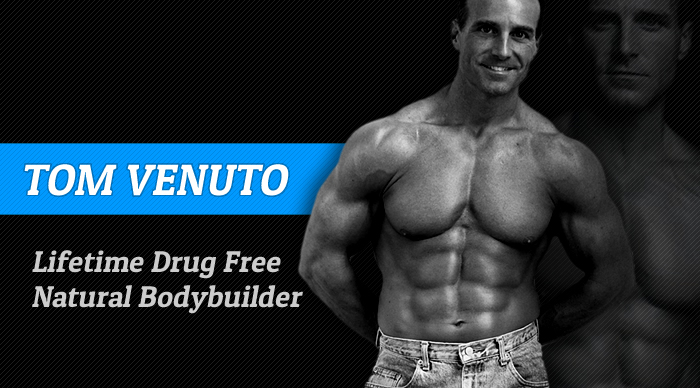 Because there is where bodybuilders and bodybuilding fans shop. Walmart caters to the working man; it caters to shoppers wanting a deal. A deal-shopper wants a Great Value (another Walmart brand); they care more about having suitable goods, than caring so much about the packaging. They could less about which sponsored athlete is getting a check each month and which isn’t. Deal-shoppers don’t care about booths, they don’t buy magazines, and they don’t care if the scooper is buried in the product or conveniently left up top. They don’t care about holograms, they don’t care about special seals or shrink wrap – they don’t care about any of it! It’s going to be very difficult to get a deal-shopper to pay two or three times more for a product which seemingly does the same thing, has the same ingredients, and has the same number of servings. Forget about the rebuttal that sometimes generic ingredients may not be as good or that their sources may not all be the from the same countries. None of that will factor in during the milliseconds of thought required to pick a product off a shelf. The future doesn’t look too good – just sayin. What do you think? 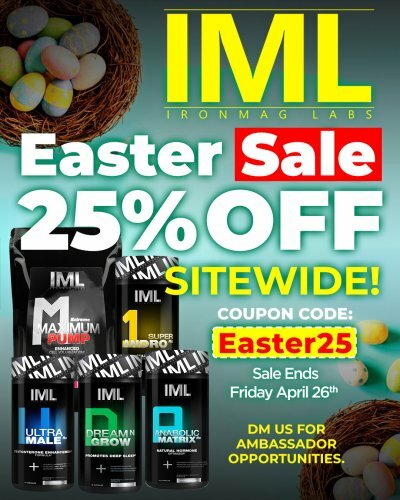 Be sure to share your opinion here at Iron Magazine, our forums, or throughout social media. Obesity Paradoxes: Fat But Still Fit?